Embraer and Widerøe, the launch customer for the E190-E2, have reached an agreement on a Flight Hour Pool Program for the airline’s soon to be inducted E2 fleet. This is the first contract of its kind signed for the E-Jets E2, Embraer´s second generation of the E-Jets family of commercial aircraft. 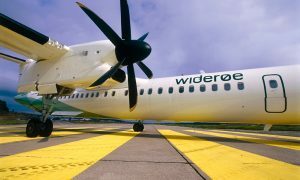 The agreement will cover more than 300 key rotable components, for the airline’s E190-E2 fleet.Widerøe will receive its first E190-E2 in April of 2018, beginning revenue service with the aircraft shortly afterward. “This contract reminds me of the first Pool we signed for the E-Jets current generation, 14 years ago. 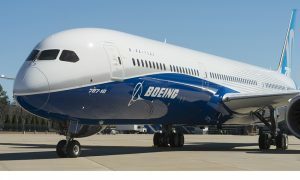 It was for just one aircraft and proved to be the first of many others,” said Johann Bordais, President & CEO, Embraer Service & Support. Widerøe’s contract with Embraer is for up to 15 E2 jets consisting of three firm orders for the E190-E2 and purchase rights for 12 further E2s. The order has a potential list price value of up to USD 873 million, with all orders being exercised. The airline is configuring the E190-E2s in a comfortable single-class layout with 114 seats. 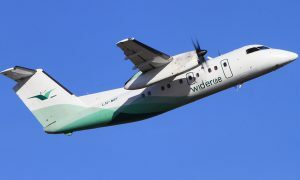 “Embraer started to support us the very day we signed the contract, and that support has continued to develop, in partnership with our team, to ensure the smoothest possible entry in service for this fine aircraft that will revolutionize our offering to our customers,” said Stein Nilsen, Chief Executive Officer of Widerøe. The results are significant savings on repair and inventory carrying costs, reduction in required warehousing space, and the elimination of resources required for repair management, while ultimately providing guaranteed performance levels.